Recently purchased a 2008 honda accord from here and i cant lie ive had bad experiences with many other dealers none of them seemed like they wanted to sell or simply ignored my presence (white river auto group) but as soon i stepped foot in New Rochelle Motors i was greeted by Chris in a very friendly manner. I told him my situation and he bent over backwards for me to get my the car i wanted. I have nothing but good words to say about this dealership. If your in the area and are looking to buy a car i definitely highly recommend this place.! He even changed out my front rotors and brakes with new ones at no extra cost to me. I feel honored and blessed to have done business with someone like Chris. I have nothing but great things to say about Chris and New Rochelle Motors. Chris realized and understood our urgency to purchase a vehicle that day, and was able to make it happen. When we ran into issues with our insurance company, his overall knowledge of the process resolved the issue. I have nothing but the highest reguard for Chris and his company, and I highly and sincerely recommend him. I almost forgot, we love the car. I found my ideal car at New Rochelle Motors and am blessed to have had the opportunity to do business with Chris and Jason. From the start, I could tell they were good guys, and that intuition proved correct. 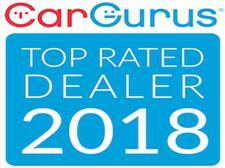 They are both highly knowledgeable about cars and the car buying business, and far more honest than any big dealer. When my car had an issue after I bought it, Chris did the honorable thing and agreed to fix it. Unparalleled service and commitment to customer satisfaction. Very pleased with the final outcome and the way these guys do business. A true gem that I cannot recommend highly enough searching for a used car.